16 Dec 2015 | What's new? The last weekend (11 and 12 December), Konin witnessed two special events that brought the social atmosphere and the Christmas spirit to the city! 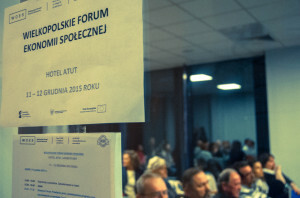 Representatives of social economy entities, local governments, the business sector and people interested in this ambit, could attend the Greater Poland Social Economy Forum, organized by Association for Social Cooperatives, dedicated to enhancing cooperation between cooperatives, as well as new projects implemented by The Greater Poland Centre for Social Economy. Click here if you want to get more information about the forum and program! 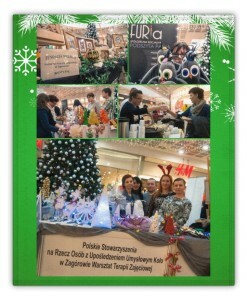 As an extension to the forum, took place the Christmas Fair, Christmas Fair, which is organized the third time, in cooperation with FERIO Shopping Centre & Regional Social Policy Centre. The entities that were involved in the event, showed their creativity and great hand-made work through the allure of Christmas products, gadgets and gifts as plush toys, pillows, accessories made of felt, ceramic and wood decorations, decorated gingerbread, pictures and much more. Among other additional attractions, were workshops and art classes for children and adults. The best Christmas decorations that you might need for your home during Christmas time!